WHAT: Former bad boy chef Adam Jones (Bradley Cooper) seeks to put his life back together and earn a coveted third Michelin star when he convinces his old business partner, Tony (Daniel Brühl), to take over his languishing London restaurant and turn it into one of the world’s best. 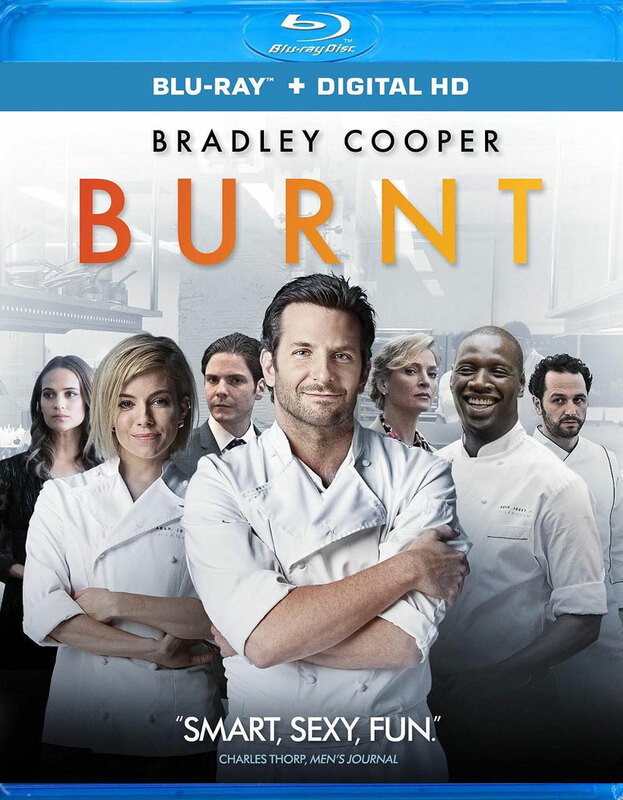 WHY: John Wells’ culinary drama was ripped apart by critics upon its theatrical release, and although the criticisms weren’t completely unfair, “Burnt” is far from disastrous. In fact, if you enjoy foodie shows like “Top Chef,” the kitchen-based sequences offer a pretty fascinating look behind the curtain of the restaurant world, even if it seems a bit more glamorous than in real life. Where the movie starts to fall apart is outside the kitchen with the clichéd personal drama and strained romantic subplot between Bradley Cooper and Sienna Miller. It’s all too safe for a film about a guy who used to live on the edge, especially when his redemption arc lacks the required emotional punch. There’s enough quality among the ensemble cast (including all-too-brief cameos by Alicia Vikander and Uma Thurman) to hold your interest, but much like Cooper’s last chef-inspired project, the short-lived TV series “Kitchen Confidential,” it’s a little undercooked. EXTRAS: There’s an audio commentary by director John Wells and chef consultant Marcus Wareing, deleted scenes, highlights from a cast Q&A and more. 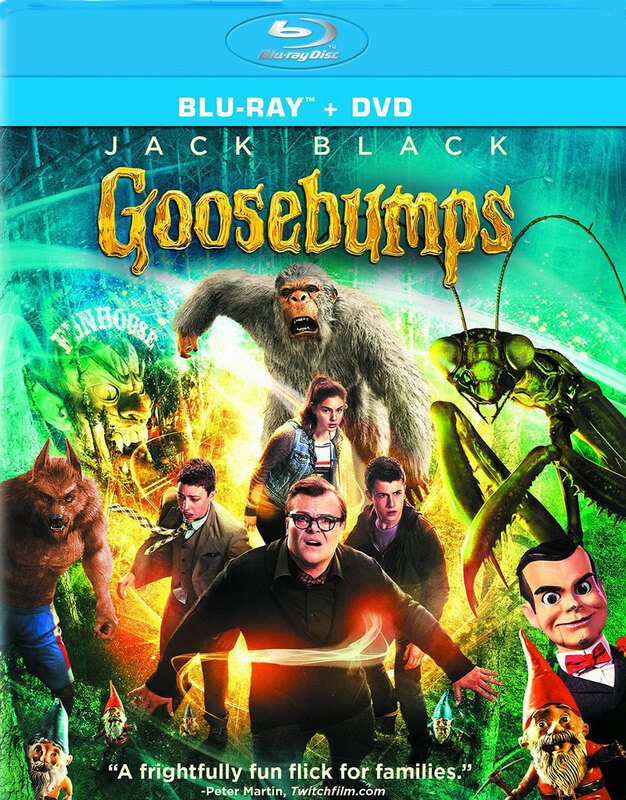 WHAT: After he breaks into his neighbor’s house to investigate a distress call, teenager Zach Cooper (Dylan Minnette) discovers a bookshelf filled with “Goosebumps” manuscripts that have been mysteriously sealed with a lock. When Zach unwittingly opens one and unleashes the monster trapped inside – setting off a chain reaction in the process – he must team up with R.L. Stine (Jack Black) and his daughter (Odeya Rush) to stop the author’s creations from wreaking havoc on their small town. EXTRAS: In addition to a pair of featurettes on the film’s creatures, there’s an alternate ending and opening, deleted scenes, a blooper reel and more.